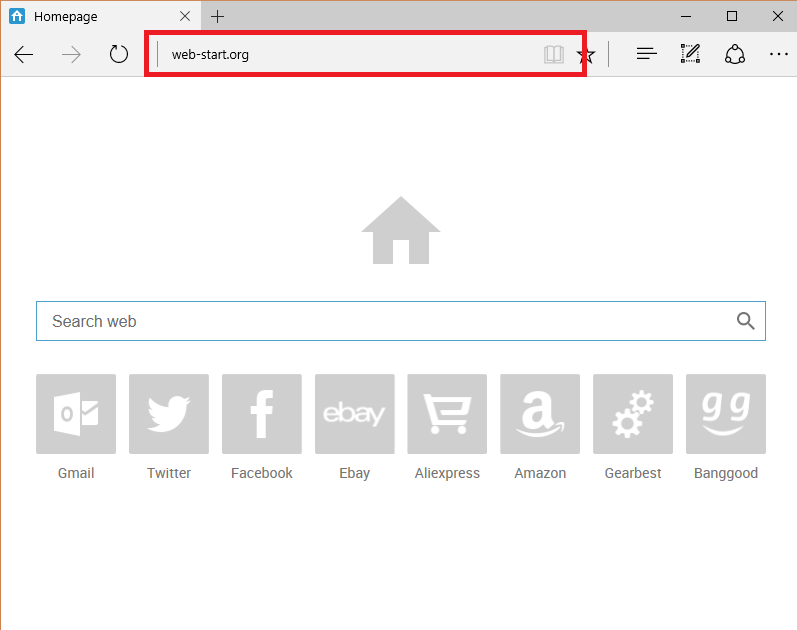 Although web-start.org might seem like an interesting search tool, it is, in fact, a browser hijacker. It is also a potentially unwanted program (PUP), and this shows us that the application is really shady and untrustworthy. The PUP can hijack your browser even if it is a popular one, for example, Google Chrome, Internet Explorer, or Mozilla Firefox. It does a lot of modifications to your browser options, which include changing the home page, new tab, and default search provider. These modifications occur without your permission, and this is one of the reasons for web-start.org removal: users should not keep any programs that are known to enter computers silently. If you take a look at the website of the browser hijacker, it seems quite nice and interesting. This is done in order to keep the visitor’s attention. The website is different from others in one aspect: it shows the most popular search queries, which are placed in colorful cards under the search bar. It might be quite interesting to explore what people search the most for, but this is not worth your safety. You see, this is a browser hijacker, and they are never harmless. If you actually try using it, you will see why. The search results can be filled with sponsored links that might harm the people who click on them. That is because these hyperlinks belong to third parties who want to promote their suspicious websites. What is more, the PUP can collect non-personally identifiable information such as search queries, the pages you visit, IP addresses, URLs, and so on. It is unknown yet if the hijacker shares this info with third parties, but there is always a strong possibility. Don’t forget that this kind of PUPs might display commercial advertisements on random pages. You should use a reliable search engine instead of this one: delete web-start.org from your PC so that you could be safe. How did I get infected with web-start.org? Browser hijackers like this are spread in software bundles. Usually, this happens if you download freeware and shareware from file sharing websites. If you want your downloads to be safe, always choose Advanced/Custom type of installation. Users sometimes try saving time by skipping some steps, but this is a huge mistake: malware removal can be really time-consuming, and it is better to avoid it in the first place. In order to browse safely again, uninstall web-start.org from your PC and be more attentive with your downloads. How to remove web-start.org from my personal computer? The most efficient way to remove PUPs is using a legitimate anti-malware and anti-spyware application. A good security tool like Wipersoft can eliminate everything that seems harmful to your computer. When a user tries getting rid of malware manually, some files or other programs might be left, which might cause some troubles to the system. Remember to never use browser hijackers, no matter how attractive they might look.